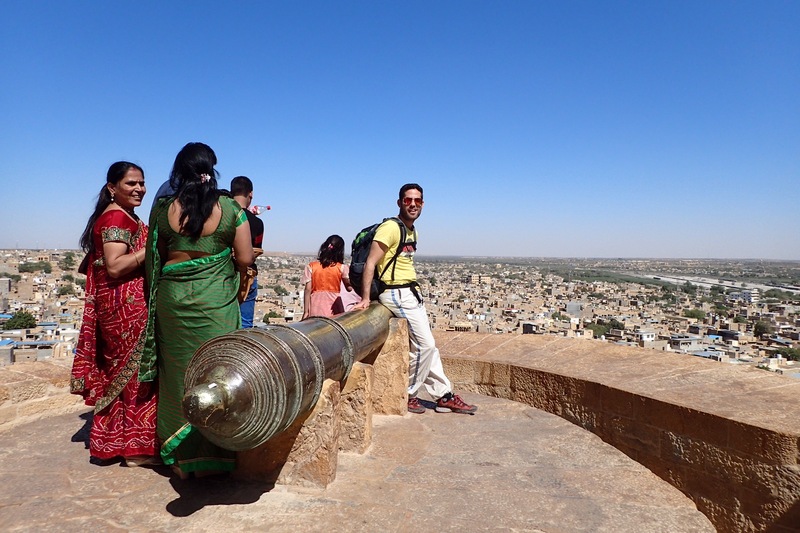 Jaisalmer lies close to the border with Pakistan, an otherwise forgotten town, the Indo-Pakistani war, tourism and wind farms, kept this city alive. Quite hard to believe, but until 1951, this land was still ruled by Marahawals in palaces, riding on elephants covered in jewels. What happened? Privatization, Rajastan joined the Indian Republic and the royalty became just rich people with a title. Their legacy: pompous palaces, glorious forts and plenty of poverty. 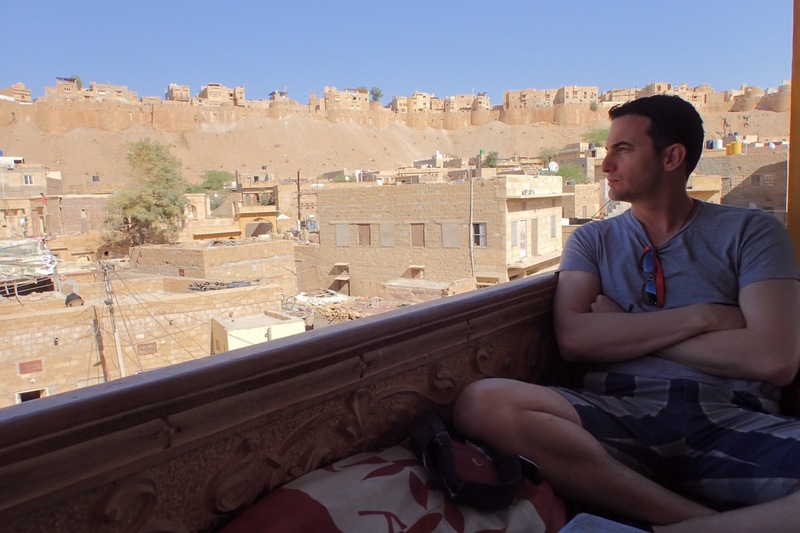 Jaisalmer is known for its resemblance to the Thousand Nights and Night stories, its small alleys, street markets and the distinct yellow desert color. With friendly people on the streets, spontaneous smiles and tasty Rajastani food, and even the roaming farm animals eating garbage by the open sewers, Jaisalmet grows into you. We spend a good portion on our days just staring to the horizon while the fresh breeze from the desert blows at its many rooftop restaurants. 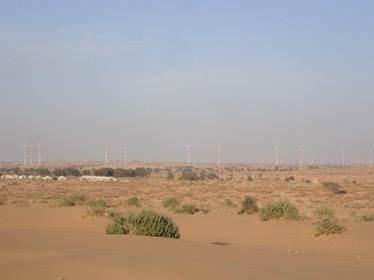 In the last years, modernization came to Jaisalmer in the form of wind farms. Call me a nerd, but I can’t think of a better expression of hope and sustainable development than the view of the endless desert spotted with countless wind turbines. Jaisalmer features the bigges wind farm in India, it provides clean electricity to the army and the whole area. From a city which 70% of its economy is dependent of the tourism, now there are thousands of highly qualified and good paying jobs in the wind industry. A technical college opened last year to train new generations of technicians and engineers that will continue to harness the clean energy of the wind. Today 1GW of energy potential is installed in the surrounding desert of Jaisalmer, that’s about the same as a big polluting coal-burning power plant. Countless wind turbines on the desert horizon.